If the ever-present ganja, dreadlocks and Bob Marley imagery around Arcata hasn't already clued you in, we'll help you out. Prepare yourself for what's likely to be the reggae-est year of your life. Welcome to Humboldt: If only peripherally, you listen to reggae now. That can be a good thing. So, for those that are ready to dive in head first, you have great opportunity this week to sample some of the best of those off-beat accents. That's because on Tuesday, Sept. 6 at 9 p.m. in HSU's Kate Buchanan Room, AS Presents brings you the all-Maori full reggae band Katchafire from New Zealand. Tickets are $15 for civilians, just $5 for HSU students. Seek out a clip or two online and you'll see these Kiwis are a laid-back, organic reggae band made up of feeling musicians. 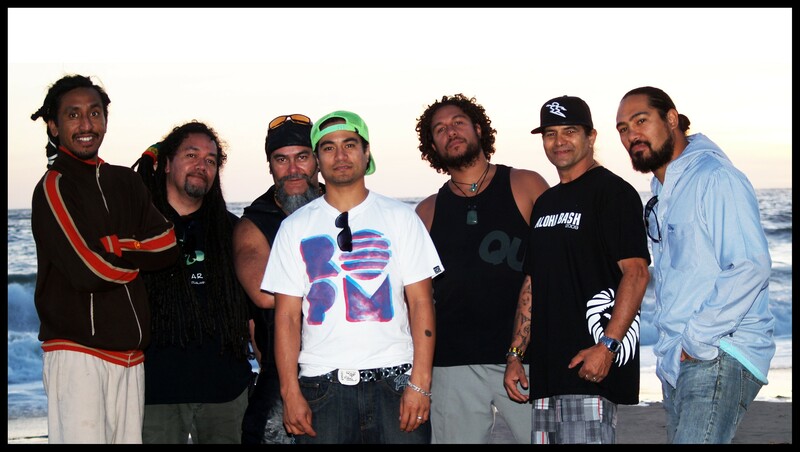 While they may not be a household name around here, Katchafire have infected ears enough elsewhere that they were able to sell over one million copies of their second album, 2005's Slow Burning. They've enjoyed significant success in New Zealand, Australia and Hawaii and have performed at SXSW, Roskilde, SummerJam, Big Day Out Festival and Humboldt's own Reggae on the River. The opening act ain't too shabby neither. L.A.-native Elan Atias has something resembling reggae cred considering he fronted a little group called The Wailers on and off since 1997. Yes, Bob's Wailers. Over the years, he's also collaborated with Gwen Stefani, Carlos Santana and producer Don Was. Atias will bring his new band White Elephant with him on the Humboldt voyage. And they probably know some Marley songs. Embrace the irie sounds of Humboldt through the lens of New Zealand. For more information and/or to get tickets call CenterArts at 826-3928 or check online at humboldt.edu/aspresents.